The devil has risen once again! 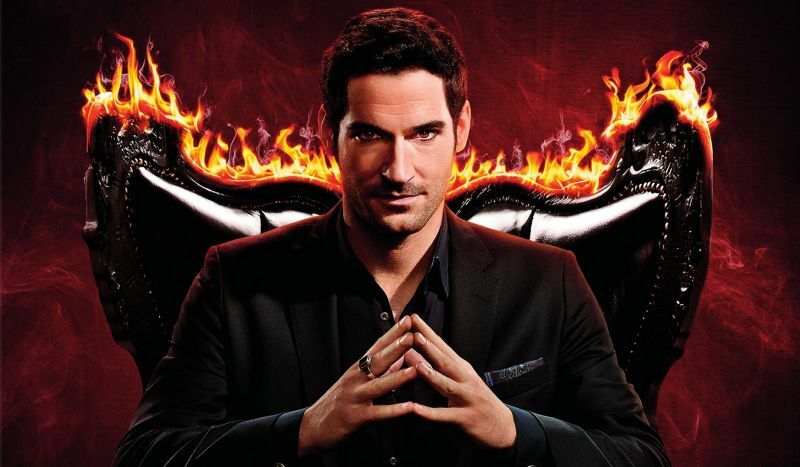 Tom Ellis is back as Lucifer as he is ready to raise hell on Netflix. Lucifer is still reeling from Chloe seeing his true face last season, he must now face a new challenge. The original sinner, Eve, is now on Earth. Does she want revenge for when he tempted her out of Eden oh so many years ago… or something else entirely? Based on the Vertigo/DC Comics character, Lucifer follows the Fallen Angel who has become bored with ruling Hell and decides to seek new adventure in Los Angeles where he runs the night club called “The Lux” and works as a consultant for the LAPD. The returning cast also includes Lauren German as Detective Chloe Decker, Kevin Alejandro as Detective Daniel “Dan” Espinoza, D. B. Woodside as Amenadiel, Lesley-Ann Brandt as Mazikeen, and Rachael Harris as Dr. Linda Martin. FOX cancelled the series on May 11, 2018 due to consistent low ratings despite favorable praise from critics and fans. Netflix picked up the series one month later and ordered ten episodes for a fourth season. Lucifer rises on Neflix on May 8.